Swap your boring factory head lights for Spyder black halo projector headlights. 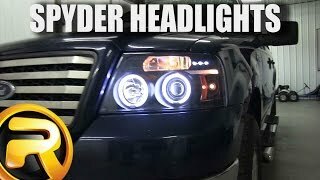 Adding a set of these aftermarket headlights is a great way to add style, safety, and improve the value of your car or truck. 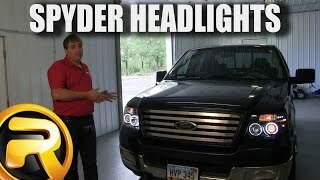 Halo projector headlights from Spyder will give your truck a completely new look! Spyder projector headlights will give you increased visibility which translates into better safety for you & your family. 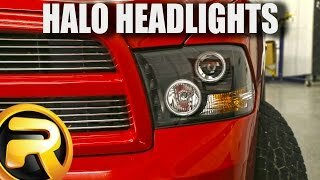 Take advantage of the popular halo style and you can be sure your truck will get you noticed when you're out on the town! 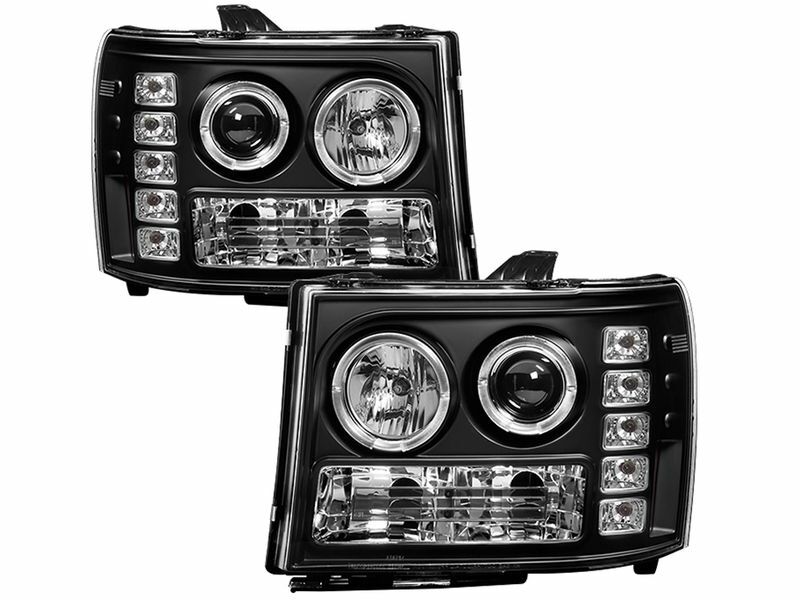 These black halo projector headlights are show quality and meet or exceed NHSTA safety standards. 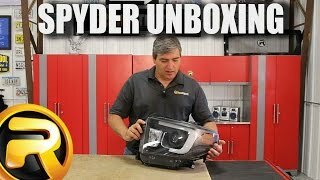 Spyder has designed their halo projector head lights to be installed easily without any drilling or complicated wiring, they simply bolt into the factory holes and plug into your existing lighting system. 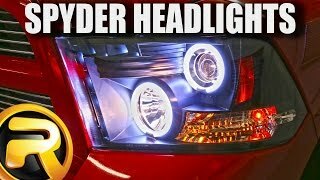 Spyder also gives you the choice of LED or CCFL halos for many applications. LED halos will highlight the individual LEDs whereas the CCFL halos will have a more consistent, solid lighted ring. All lights have been tested and either meet or exceed quality standards for original equipment manufacturers. 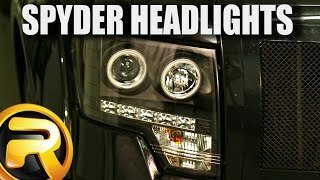 Brighten even the darkest night with new Spyder black halo projector headlights, the quality won't disappoint and your friends will be envious of your truck's new look!